This recipe for the Olive Garden Bolognese has been on the Internet for years. It is rumored to be their actual recipe. I haven’t seen this recipe on their menu for a long time. This isnít the typical meat sauce that you get there. This one is packed full of fresh vegetables, and it should be on their menu. I thought adding carrots to this sauce sounded a bit strange, but actually it’s quite good. Surprisingly good. I think this recipe could lend itself to whatever you have in your refrigerator and want to use up. This is a very flavorful sauce that goes well on many different types of pasta. You can recreate the Olive Garden Bolognese at home with this copycat recipe. Heat oil in a large pan. Add celery, carrot, onion, and garlic and cook about 5 minutes. Add meat and cook 10 minutes over medium heat, stirring occasionally. De-glaze pan with wine; let it reduce. Add tomatoes and remaining ingredients and stir; simmer for about 1 hour. Serve over fresh, hot pasta.I happened to have some extra red and yellow bell peppers and I added those into the initial step of sauteeing the garlic, onions, celery, and carrots, and they turned out well.Do you like recipes that taste like the Olive Garden? 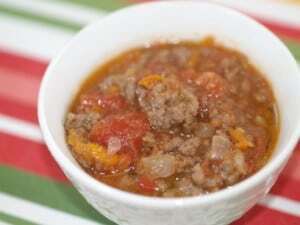 There are many other recipe that taste just like the Olive Garden at CopyKat.com. I can’t get over how MEAN people can be in their comments/reviews, of recipes that a chef is kind enough to go to the time & trouble, to post/photograph! If you don”t have something nice to say…don”t say anything at all! A friend made this for game night and it was awesome. I used to work for Olive Garden and I can tell you that this is not the original recipe. There was a lot of cream, three different meats and tomato suace, but not much veggies. I love this recipe. My husband said it is a keeper. We ate this with pasta and garlic bread. Thanks for the recipe. I love this recipe. My wife ate her’s on pasta, but I ate mine right out of a bowl as pictured above with breadsticks. mmmmm!! What the hell does that mean? Did you intend to say it could “lend” itself? I did mean to say lend 😉 Thanks for letting me know I had a typo.